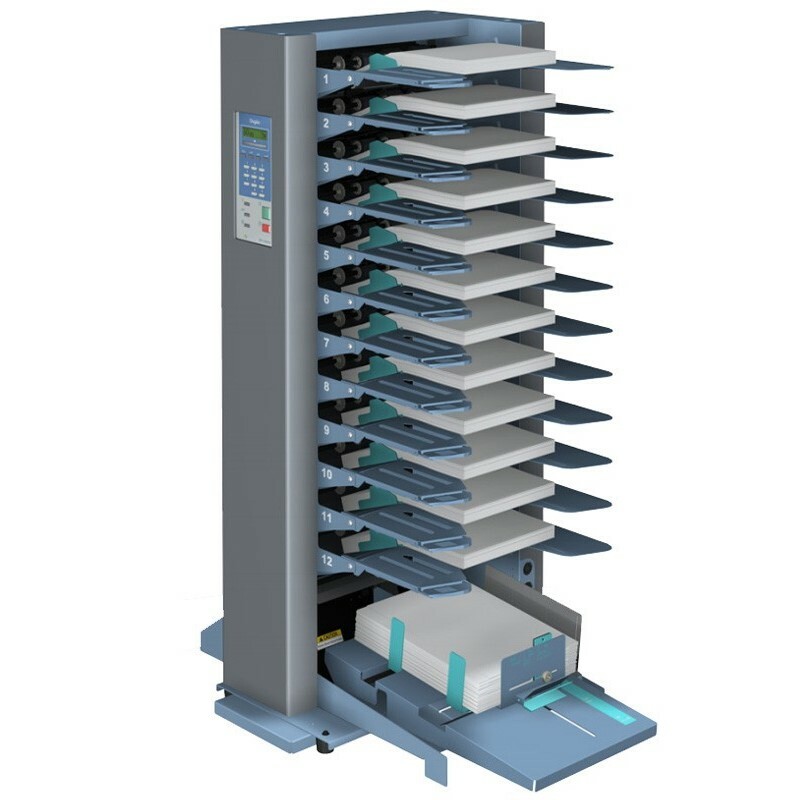 The DFC – 120 friction collator is a bench-top friction fed collating unit which can build into a system with up to 24 stations by combining two units. 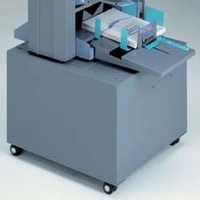 The DFC – 120 friction collator is a bench-top friction fed collating unit which can build into a system with up to 24 stations by combining two units. The three-wheel feed system provides reliable feeding of a wide range of material, including certain coated stocks. 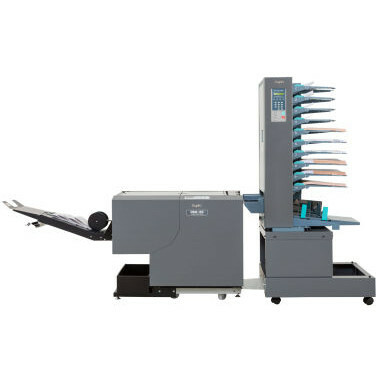 A number of options increase the versatility of the DFC – 120, including integration with the Duplo DBM – 120 bookletmaker. Product Features: User-friendly control panel offers several programmable settings. Triple wheel feeding system. Offers offset collating or straight according to the job. Covers 160 x 140 mm to 320 x 450 mm formats. Sensors detect empty bins, doubles and paper jams. Production speed of 4,200 set an hour.